The classic hand wound Pilot’s watch with the large 45 mm case is now available with a Milanaise mesh bracelet. 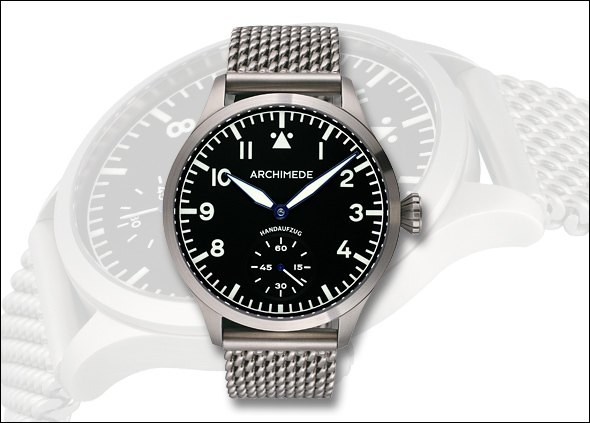 For ordering and more information please go to the ARCHIMEDE website on http://tinyurl.com/dxpe8e5. 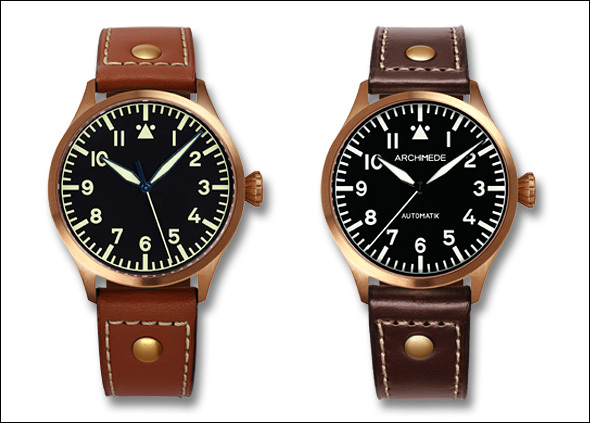 Since we launched the ARCHIMEDE Pilot 42 Bronze many customers asked us for a smaller version with the 39mm case. Now that we finished the new case we are happy to present the Pilot 39 as well as the Pilot 39H in Bronze. The Fixoflex watchband (expandable) was invented in 1952 by ROWI / Pforzheim, which was a completely new type of watchband at that time. We asked ROWI (founded in 1885) for some samples of a standard bracelet and adjusted the attachment so that it fits the OutDoor case. The result is an interesting new combination, which is very comfortable to wear. The expandable band matches very well the design of the robust timepiece. It has no buckle and can be shortened / lengthened in steps of 4mm. Here are some photos of a bike-trip with the OutDoor and Fixoflex band through the Black Forest. 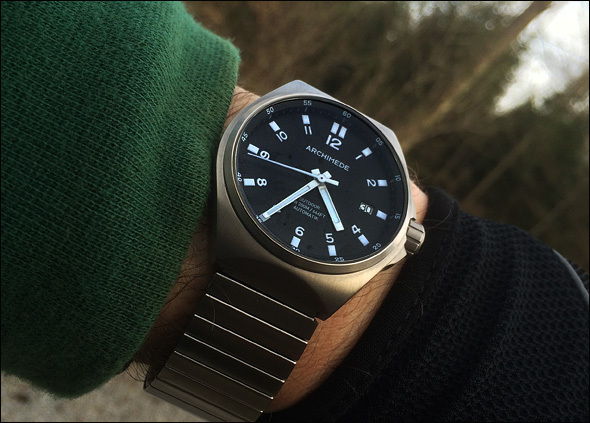 From old to new: overhauling and optimization of the former ARCHIMEDE SportPuls. 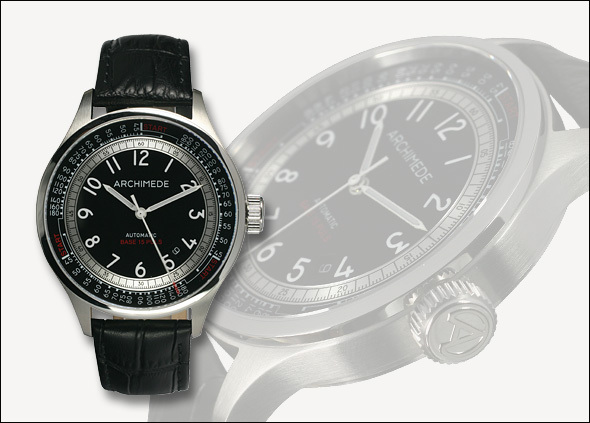 Some years ago the SportPuls was part of the ARCHIMEDE collection. A customer now asked us if we could manufacture this model for him again. As we still have dials and hands for the SportPuls we made one for him with the new 3-pieces ICKLER case. With the brushed and polished surface it is a functional but still very well looking time piece.